Yabba Dabba Doo! The caveman times are making a comeback. Fred Flintstone and his beloved family and friends are gearing up for a return to the big screen with the help of funnymen Will Ferrell and Adam McKay. Ferrell and McKay are executive producing the Warner Bros. feature about "the modern Stone Age family," Variety reports. Related Pics: Role call -- Lebron James the comedian? 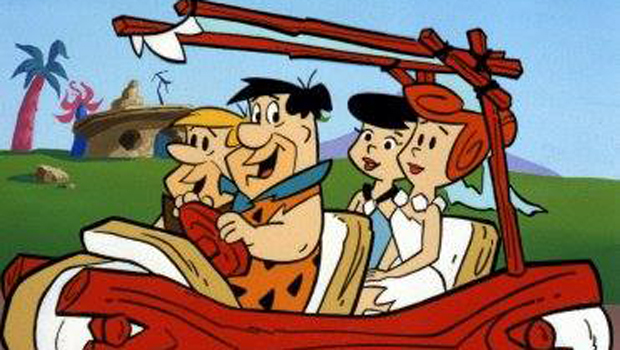 A little history about "The Flintstones": Hanna-Barbera created the cartoon, which aired from 1960-66 and earned the first animation nomination at the primetime Emmy Awards, and designed it to be a spoof of Jackie Gleason's "The Honeymooners." A movie of the TV series has already been done. In a 1994 live-action flick, John Goodman, Elizabeth Perkins, Rick Moranis and Rosie O'Donnell all starred in the movie, which grossed an impressive $341 million. Tell us: Would you watch another "Flintstones" film?